A short three song demo The Sue Quigley Band packs so much into every song. Incredible lyrics and body swaying music, it feels like a little folk rocky but very new. I can't express how much I enjoy this cd. Such strong vocals and power in every song you can't listen to this cd and sit still. It's got such great meaning and flow. This band has such potential at a long fruitful career I am excited to hear more. 3 for 3 you can't go wrong every song will be your favorite. Sue Quigley has the sort of voice that careers are built on: it is strong, rich and distinctive and she uses it masterfully. At times she'll hold a note until your breastbone resonates; at others, she'll back off from the mic and draw you in to her private world - absolutely captivating singing. "Outside In" is her debut full-length cd and features eight songs that explore the emotional life in oblique but heartfelt terms; personally I found a lot of her metaphors and references didn't quite click for me: "But you're saving something - for someone else/ Someone who'll run and not let you catch up/ Safe enough to be where you left them" Perhaps the meaning teases itself out eventually, perhaps it's just me and all this seems perfectly direct to another listener. That quibble aside, however, there is so much to enjoy and treasure on this album, moments in songs that touch an emotional chord and make it quiver. Produced with admirable simplicity and clarity by Joe Reineke with Sue Quigley, it's the guitar playing that shines almost as brightly as that voice. Sue Quigley's own playing on acoustic guitar is very atmospheric, whilst David Wall on electric guitar brings a controlled intensity to his supporting role that adds a whole extra palette of colour. With John Mills on bass and Roy Adler on drums capable of building a huge backdrop of sound, this is music that at its best you can lose yourself in. You may find yourself completely drawn in, lost in a maelstrom of emotional intensity: very highly recommended. Raised in the nuclear plains of Eastern Washington, Sue stole her sister's guitar (abandoned for boys) and started writing songs at 13. Later it became a good way to pass the time between fires while working for the Forest Service one summer. The 2nd cd "Perfect Chaos" was co-produced by Jon Ervie (Brandi Carlile,PUSA,) and was released in Feb/09. It has been nationally promoted to college and AAA stations, and is streamed around the world on Jango.com,Broadjam,Celtic Roots Radio and WomensRadio,GoGirls and MartyReimer's podcasts. Sue has been featured at the Hard Rock -Seattle,Viper Room in Hollywood,Bitter End-NYC,Showbox ,Folklife Festival,Bite of Seattle,Crocodile Cafe, and showcased at IndieGrrl Nashville and at SXSW 2011. 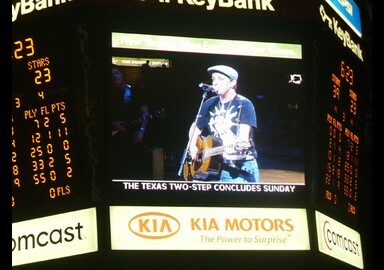 A real kick in the pants was performing acoustically at center court for 5,000+ Seattle Storm fans at Key Arena. Internationally, Sue has toured Ireland and a cut from her 1st cd was featured at NXNE in Canada. Sue has also recently returned a successful West Coast Tour with gigs in San Francisco and LA and is collaborating with a new band on new material. who you can trust so the face stays with you..
How much looking over my shoulder? How much keeping my eye on the door? How is it I believed in so much shadow when the light was all I was waiting for…. Like my version of “surrender Dorothy”…..